Drain Clogged? We Can Help. 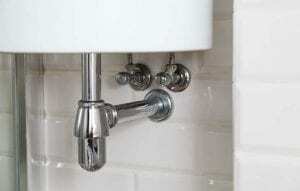 One of the most common plumbing issues is having a clogged drain. Whether it’s your toilet, shower or sink, Conyers Plumbing has expert and friendly plumbers to clear any clogged drain you may have. Why is your drain clogged? Blockages can be caused by a variety of factors such as debris, scale, food particles and other types of garbage in the line. Buildups of any type of foreign materials will eventually cause a clogged drain. Unfortunately, drain clogs can also be caused by something more serious such as root intrusion or underlying piping issues resulting in a full sewer backup. Whatever the issue, Conyers Plumbing offers reliable and honest plumbing services in the Plant City, Brandon, Lithia, Riverview and surrounding areas. What can you do to prevent clogged drains? One important preventative measure is to never pour grease or fats down your drain. Although hot grease and fats are in a liquid state, when they cool in your drain, they solidify and cling to the pipe building up over time causing even more materials to become blocked up in your line. Another measure is to always use drain strainers to trap foreign material such as food, hair and other detritus before it can go down your drain and cause a clog. If your drains do backup, we strongly recommend never using chemical cleaners as they cause more problems than any temporary relief you might initially gain from their use. For instance, they are highly corrosive, bad for the environment and can be a hazard to your health. If you have a clogged drain or your sewer is backing up, please call Conyers Plumbing for quality, dependable drain cleaning services. We at Conyers Plumbing are committed to providing honest and affordable plumbing services with customer satisfaction being our top priority.